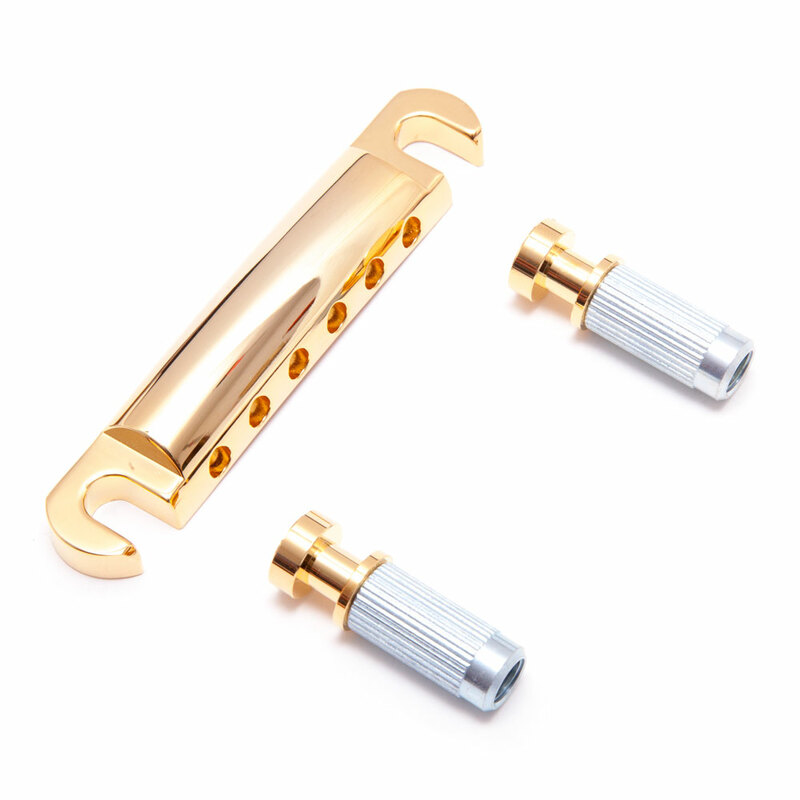 The Gotoh GE101Z is the classic tailpiece design for anchoring the strings of your Tune-o-matic bridge equipped guitars, featuring height adjustable metric posts, spaced 82 mm apart that screw securely into metal body anchors. If you are upgrading parts on a metric 'import' guitar (Epiphone, Schecter, ESP LTD etc), the 8 mm posts supplied will screw directly in to the vast majority of existing tailpiece body anchors/studs, for imperial USA guitars (e.g. a Gibson Les Paul), use the Gotoh tailpiece body only as it will fit on to the existing imperial posts. It can be strung the traditional way or alternatively the strings can be fed through the front side then wrapped over the back of the tailpiece before going to the bridge (often used when tightening the tailpiece all the way down against the guitar body).